kick-OFF: Learning from Poland, Part 1. Discussing strategies and models of cultural operations that respond to the current political challenges get a strong focus within the upcoming kick-OFF series, a series of discursive events leading up to the 2nd edition of the OFF-Biennale Budapest. In the next kick-OFF event, three art professionals with various background will discuss through specific art projects the changing conditions of artistic production and exhibition making in Poland. The event will be moderated by Lívia Páldi, member of OFF-Biennale Budapest’s curatorial team. Address: 1051 Budapest, Arany J. Street 32. The language of the presentations and discussion will be English. 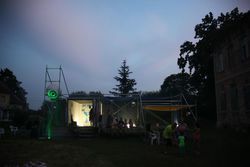 The event is part of the kick-OFF series of the second edition of the OFF-Biennale Budapest. Supported by the The Adam Mickiewicz InstituteWarsaw and the Vera and Donald Blinken Open Society Archives, Budapest. Special thanks to Anna Szylar. On the occasion of the 60th anniversary of the Hungarian Revolution of 1956, the Goethe-Institut Budapest, in cooperation with the Vera and Donald Blinken Open Society Archives, presents MY DIARY – YOUR NEWS. It was a deliberate decision to present the exhibition with a perspective that looks back at the days of the revolution from the outside. On one hand in time: the Berlin based Artist, Daniela Comani’s large size art installation entitled It was me depicts the whole of the 20th century through 365 entries of an imaginary diary, while constantly forcing the viewer to take the position of the principal actor. On the other hand we position ourselves outside Hungary to reflect upon the events of 60 years ago. How did the media in other capitals react to the events unfolding in Hungary? Alongside Daniela Comani’s installation, items from OSA’s own collections of newspaper clippings, photos and newsreels document the intensity of reactions all over the world, from Reykjavík to Buenos Aires. VERNISSAGE: October 19, 2016, 6:30 p.m. 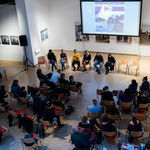 In connection to the exhibition My Diary – Your News the Blinken Open Society Archives present Ildikó Enyedi’s Cannes award winning film. The screening will be followed by a discussion and Q & A with Ildikó Enyedi, director and scriptwriter. On the last night of the 19th century, two ladies are travelling on Orient Express. Dóra, a high society swindler, sits in the 1st class compartment, while Lili, a committed anarchist, in a 3rd class one. They are twins, but don’t know each other as they got orphaned and separated decades ago. Z., a ‘run-away aristocrat’ falls in love with both of them, and composes ‘the ideal woman’ by forging the two into one. 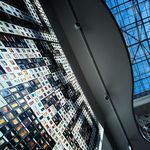 Of all the information and memory professions, the archival field is the one that is most integrally responsible for the long-term preservation of and access to records and other forms of documentation, which are especially instrumental in the lives of people who have found themselves forced to leave their homes and homelands because of oppression, expulsion, war, natural disaster or economic exigency. 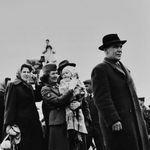 A Blinken OSA 1956-os pályázatának díjazottjai 2016. tavaszán az 1956-os forradalom hatvanadik évfordulója alkalmából a Blinken OSA Archívum nagyszabású, nyilvános programsorozatot indított, melynek keretében két pályázatot hirdetett meg. A szakmai zsűrik értékelései alapján a díjnyertes pályamunkákat 2016. október 22-én, szombaton hirdettük ki. Most pedig közzétettük a nyertesek listáját és a díjazott projekteket, melyeket a lenti linkeken lehet megtekinteni, letölteni!Köszönjük minden pályázónak a színvonalas munkát! http://1956.osaarchivum.org/kodold_a_multat_eredmenyekhttp://1956.osaarchivum.org/56rol-hitelesen_eredmenyek Diákpályázat „Kódold a múltat! 1956 remixelve”A 20 év alatti fiataloknak kiírt pályázat azok jelentkezését várta, akik az Archívum digitális gyűjteményeinek felhasználásával, a digitális technológia segítségével érdekes és egyéni módon mutatták meg 1956 történetét újszerű vizualizációs megoldásokkal, különleges szoftveres applikációkkal, játékok fejlesztésével. 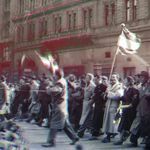 Tanári pályázat „’56-ról hitelesen”A pályázat célja az volt, hogy az 1956-os forradalom hatvanadik évfordulóján, elsődleges források, eredeti film-, kép-, hang-, és írásos dokumentumok segítségével, a diákok számára érthető és átélhető módon mutassák be a forradalom korát, törekvéseit, eseményeit, következményeit, tanulságait. A pályázatra kétféle pályamunkát lehetett benyújtani: iskolai megemlékezésekhez használható forgatókönyvet, vagy olyan elektronikus alkotást, installációt, melyet szintén iskolai környezetben lehet bemutatni. The Stabat Mater by Giovanni Battista Pergolesi, who died at a tragically young age, will be performed on the 60th anniversary of the crushing of the 1956 Hungarian revolution to commemorate the thousands who died or were wounded and the hundreds of thousands who were forced into exile.. Date and time: November 4, 2016, 6:30 p.m.
Venue: Vera and Donald Blinken Archives, 1051 Budapest, Arany János u. 32. 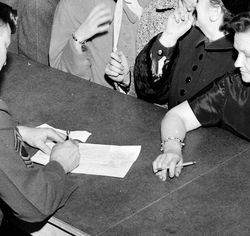 Mélységesen megrendített bennünket, hogy az 1956-os magyar forradalom 60. évfordulóján, egy nyilvános rendezvényen, a Parlament előtt, véleménye kinyilvánítása közben tettleg bántalmazták Ungváry Krisztiánt, a legújabb kori magyar történelem egyik legismertebb és legkiválóbb kutatóját, a kortárs emlékezetpolitika egyik legaktívabb alakítóját. 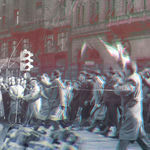 1956 Competition Awards CeremonyThis spring, on the 60th anniversary of the Hungarian Revolution of 1956, Blinken OSA launched a series of major public events including two competitions. ‘Encode the Past! 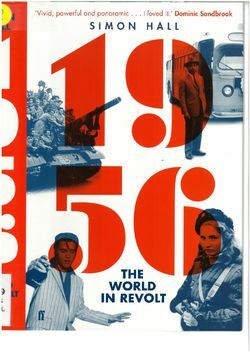 1956 Remixed’ – Student CompetitionThe student competition - launched jointly with Prezi - invited young people under 20 to present the story of the 1956 Revolution through innovative visualization solutions, and/or by developing special software applications, using Blinken OSA’a special digital collections. Let’s Speak the Truth about ‘56 – Teacher CompetitionThe competition invited teachers to present the era of the 1956 revolution - its aspirations, events, consequences as well as the lessons learned- using primary sources from Blinken OSA’a special digital collections including original footage, images, voice recordings and textual documents. This competition accepted two kinds of projects: either a script for a commemorative event at the school or an electronic installation, again to be used in the school.The winners of both calls will be announced at an Award Ceremony on 22 October, 2016, at Blinken OSA. All awarded projects will be published on OSA’s website in October, 2016. 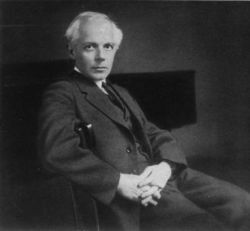 Extracts from Bartók’s letters, lectures and publications. The selected pieces will be presented together with his musical compositions inspired by folk music and the phonograph recordings he made during his journey to Arabia. 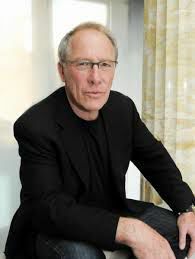 Before the screening there will be a talk with the filmmaker. 1051 Budapest, Arany János utca 32. 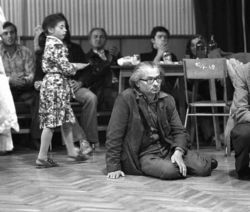 OSA is making the documentary heritage of István Kemény, outstanding Hungarian sociologist, a leading researcher in poverty and the Roma, publicly accessible. On this occasion OSA is organizing a two-day conference in collaboration with the Voices of the 20th Century Archive and Research Framework, where researchers, professionals, artists and activists reconsider the problem of poverty and exclusion, their significance in today’s society, and outline their vision of the future in this field. 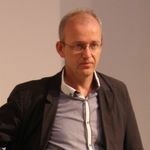 Throughout the two days of the conference unique documents, photos and film excerpts of Kemény’s joint creative work with film director Pál Schiffer will be exhibited, and in the evenings visitors will be welcome to watch documentary film screenings with live discussion. On the two days following workshops will be organized for secondary school students with the participation of homeless activists, in order to sensitize students to the problems of marginalized people and social groups. A Blinken OSA Archívum szeptember végén konferenciát rendez abból az alkalomból, hogy a szegénységkutatásaival iskolát teremtő Kemény István szociológus irathagyatéka az OSÁ-ba került. Az esemény kapcsán társadalmi érzékenyítő programot hirdetünk középiskolásoknak a szegénység, a kirekesztettség, és a szolidaritás témaköréből. A részvétel INGYENES. Jelentkezési határidő: 2016. szeptember 23. A Blinken OSA két 11 millió forint összdíjazású pályázatot hirdetett meg diákoknak és tanároknak az 1956-os emlékév kapcsán. 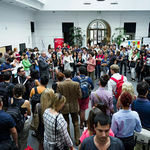 OSA PARTICIPATES IN THE CEU WELCOME AFTERNOON A long standing tradition of the Central European University is to begin the academic year with an informal event for students to meet the various support units, CEU’s administration and student support groups. Pre Session Week begins at OSA! 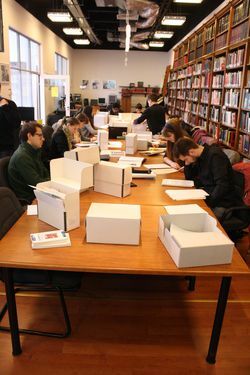 At the beginning of each academic year The Vera and Donald Blinken Open Society Archives (OSA) hosts students from the various departments of the Central European University for a full week. 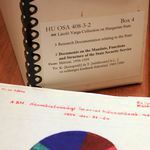 The aim of these visits is for students to discover the various research possibilities at the archives. Vernissage:June 23, 2016 at 6:30 p.m.
On the occasion of the 80th anniversary of the Berlin Summer Olympics and the Olimpíada Popular, the Vera and Donald Blinken Open Society Archives presents the exhibition Olympics and Politics – Berlin / Barcelona 1936,which examines how these international sporting events became the terrains for ideological and physical battles in the heavily politicised 1930s, and how the two Games acquired different political significance. Using archival sources (newsreel footage, films, photos, etc. 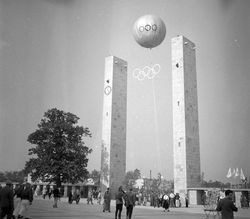 ), the exhibition views the two-week spectacle of the Berlin Games through the lenses of its counterpart, the Workers’ Olympics, and the war the Nazi ideology so pompously and magnificently promoted through its Olympics. 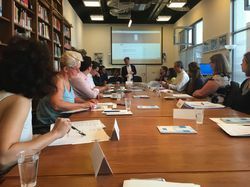 On June 16-17, 2016, over 25 human rights data professionals (information managers, librarians, documentalists, archivists, lawyers and activists) gathered in the Research Room of the Vera and Donald Blinken Open Society Archives at Central European University (CEU) in Budapest for the 37th annual meeting of the European Coordination Committee on Human Rights Documentation ( ECCHRD ). ECCHRD is an open, informal network of Europe-based institutions and organizations producing, recording, managing and publishing human rights information. In memory of Ilona Elek and Endre Kabos, two extraordinary Hungarian fencers, Katalin Varga, Fruzsina Gólya, Zsolt Nemcsik and Kende Fodor will show men's saber fencing and women's foil fencing. Russian Service Audio Archives of RFE/RL - - Now Online Browse 26 K Russian radio broadcast files for free!The Vera and Donald Blinken Open Society Archives at Central European University (OSA) presents an online, fully searchable database of audio programs produced by RFE/RL Russian Service during the last half a century.Thanks to the cooperation between BLINKEN OSA, RFE/RL and the Hoover Institution Library & Archives this vast cultural heritage is now open for free & open access.During 2015-2016 OSA systematized, preserved and processed this unique Cold War period audio collection. 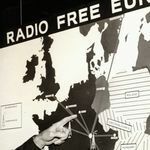 The archive includes more than 26,000 audio clips broadcast into the Soviet Union and Russian Federation by Radio Svoboda from 1953 (the year the service was established in Munich, West Germany) to 1995 (when RFE/RL moved from Munich to Prague, Czech Republic). Monday, June 13, 2016 at 5 p.m. The Vera and Donald Blinken Open Society Archives (Blinken OSA), one of the initiators of the open Access movement intends to award a fellowship each year to promising young technology expert, scholar or activist working at the intersection of humanities, social sciences and technologystudies or technological solutions. 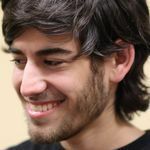 The fellowship is especially intended for those, with or without degree, who have strong practical skills in developing technological tools to make knowledge and data broadly available to the public; who have an interest in challenging information management practices in libraries and archives; who are ready to contribute to building innovative visual taxonomies or catalogs based on unorthodox ideas; and who can challenge the control of information by governments and publishers to promote civil liberties and online activism. This lecture will discuss why the demand Jesus made of his followers that they leave "the dead to bury the dead" was as radical and impossible to meet when Marx made it as it had been in Biblical times. Or put differently, it is about why the living need the dead in all times and places but especially, for the purposes of this lecture, why and how the dead take on new responsibilities in nineteenth and twentieth centuries. A conference and workshop organized by the Vera and Donald Blinken Open Society Archives (OSA) focusing on how television influenced and shaped the postwar national identity, recovery and development of the signatory states of the Dayton Agreement, and the lasting effect on their contemporary evolution in the light of a regional reconciliation. 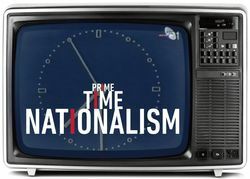 At the same time, we will seek to understand and offer new meanings for OSA’s media monitoring collection, which includes state television broadcasts from Bosnia and Herzegovina, Croatia and FR Yugoslavia from 1996 to 1999, by looking at OSA’s newly experimented, self-reflexive (re)archiving and the problems it brought up. 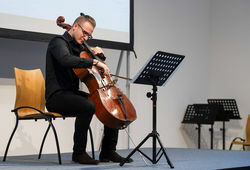 The awards of the music competition, launched by the Vera and Donald Blinken Open Society Archives and Intermezzo Foundation for talented young Hungarian composers, were presented last Thursday at the Finissage and Awards Gala of the exhibition, Some kind of Opposition, curated by Axel Braun. This event also the premiered winning pieces that were performed by the students of the Hungarian Academy of Music. 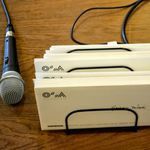 At the end of February 2016, the Vera and Donald Blinken Open Society Archives and the Intermezzo Foundation invited composers under thirty to submit pieces that had previously not been performed. A unique aspect of the competition was that it specified not only the length of the pieces and the use of instruments but the theme as well. Applicants had full access to the background files and the audio and visual documents of the exhibition for an inspirational base. 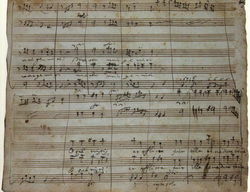 The composers had one month to write the pieces and send them to the Jury made up of composer Gyula Fekete and Miklós Csemiczky, and conductor Gergely Madaras. 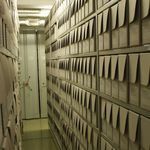 Samizdat ArchivistThe Vera and Donald Blinken Open Society Archive (Blinken OSA) seeks to employ a full time archivist with a graduate degree in History or related discipline, and a proven experience in archives, libraries. The chosen candidate will work collaboratively under the supervision of the Chief Archivist and in close cooperation with Senior Librarian and Data Specialist, exercising good judgment and initiative, and managing sensitive materials. Knowledge of 20th century East-European history, or a related field is an asset. The position requires native Russian language, it is desirable to have working knowledge of Ukrainian or a major Central Asian language, and proficiency in English language is a must.